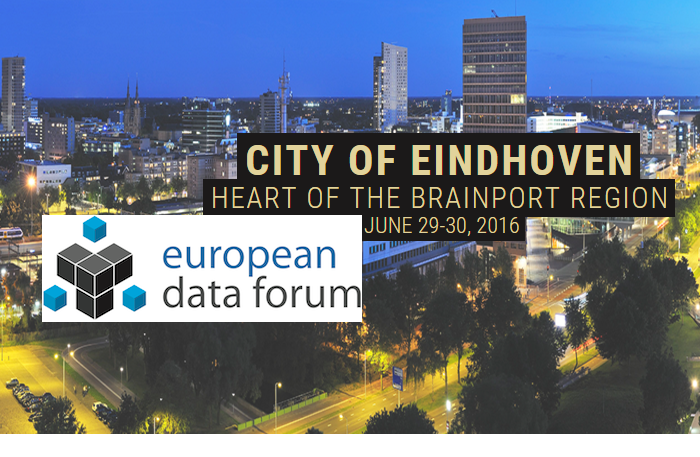 European Data Forum (EDF) 2016, 29-30 June 2016, Eindhoven, the Netherlands. Home » Events » European Data Forum (EDF) 2016, 29-30 June 2016, Eindhoven, the Netherlands. The European Data Forum (EDF) 2016 will take place on June 29th-30th, 2016 in Eindhoven, the Netherlands. This years theme is "Scaling up the European Data Economy".